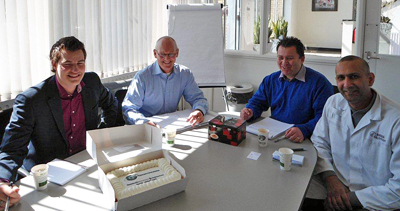 On 5 April 2012 Nestlé was accredited by the Dutch Customs Administration for its locations in the Netherlands and has now received the AEOC certificate. With this certification Nestlé is recognized as a so called Authorised Economic Operator. AEO-certified companies are regarded within the European Union as safe and reliable, especially when customs activities and warehouse procedures are concerned. By becoming an AEO certified company, Nestlé has proved to be a reliable business partner in the international (logistic) supply chain for now and in the future. Pincvision supported Nestlé during the entire project. The approach of Pincvision has led to a quick, efficient and successful project. Therefore Nestlé decided to engage with Pincvision to apply for the AEO Safety certificate as well.